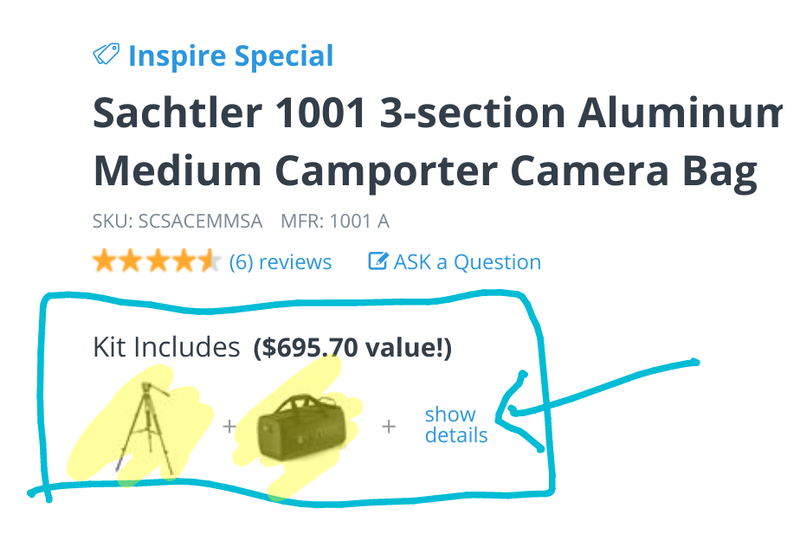 A new weekend offer is running at Adorama, it is the new condition Sachtler 1002 Ace M GS System with Ace M Fluid Head, Tripod, Spreader, Plate, Bag, Bar going for $500 with free shipping. On the high end of tripods, the brand new Sachtler Ace XL Fluid Head with Telescoping Tripod Legs (75mm Bowl) is available for pre-ordering for $1480 with free expedited shipping at B&H Photo. We go from a $10 doorbuster tripod to something on the other end of the price spectrum, the manufacturer refurbished Sachtler SYSTEM ACE L TT 75/2CF goes for $1170 with free expedited shipping at B&H Photo. This is a limited time offer but I do not know when it ends. More Sachtler action, this time it is the Sachtler FSB-4 FLUID HEAD (75MM) in manufacturer refurbished condition going for $750 with free expedited shipping at B&H Photo. This is a limited time offer but I do not know when it ends. Among the latest B&H specials is the Sachtler 0372 FSB-4 Aluminum Tripod System on sale for $850 with free standard shipping. It averages 4.5 out of 5 based on 32 customer reviews over there.